I am not sure why when people talk about Wing Chun they mention Chi Sao and then they go into how Chi Sao isn’t training for realistic fighting situations. Then I usually hear that if you really want to see if your Wing Chun works you need to try it against a resisting opponent. 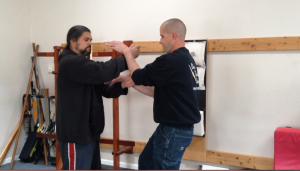 I am not sure how other people train their Wing Chun but we don’t use partners that allow us to do whatever we want to them to make our kung fu look better. In fact we encourage our partners to try and get us. 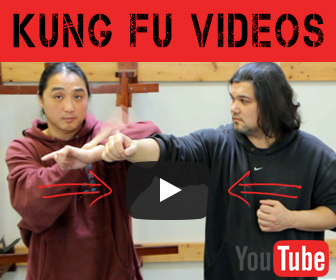 However with that said this post isn’t really about if Wing Chun is good or bad. This post is to help you understand what Chi Sao is used for. Often times when you see a Chi Sao video you see 2 people just smacking the bejebus out of each other. It’s not what the intention of the exercise is. 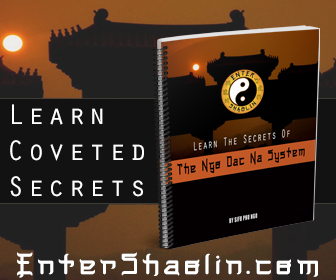 Chi Sao was created to teach people how to deal with energy. Like everything else, there is a time and place for everything. Don’t do Chi Sao with the intention of beating your partner. This will only create bad habits in you and your partner. The exception is when you both agree that during a particular session you are going to try and win. The beauty of Chi Sao is it can be as aggressive or passive as you want it to be. Contrary to what some people will tell you. Taking hits to the face and getting a bloody nose doesn’t teach you anything other than getting hit hurts. But you know that already right? One of the best ways to learn how to feel your opponent out is to close your eyes and Chi Sao. You do have to be careful though there has been occasions when you either get hit or hit someone accidentally in the nose or mouth. Find someone you can train with and train this drill with your eyes closed everyday for 21 days. See if at the end of that time period your sensing skills increase. You will be surprised at just how quick your body will start adapting to that style of play. How do you train your Chi Sao?